You wrote your book and sold copies to everyone you know. But you have goals that extend beyond a few dozen copies sold. Create a Facebook fan page and actively engage with your readers. Tackle Instagram, Tumblr, and Snapchat. Build and optimize Pinterest pinboards for SEO to maximize exposure of your books, blog, and other landing pages. Create images for your blog and social media posts. 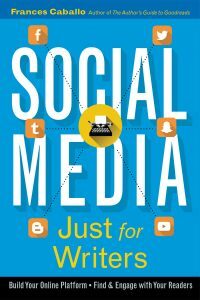 The second edition of Social Media Just for Writers is both a primer for authors new to social media and an advanced study of platforms that weren’t widely known four years ago. Whether you write romance, historical fiction, young adult, or steam punk novels, you’ll find help in reaching your online audience of new and dedicated readers.